I did not want to run today. I barely even made it to the gym. I tried to run and only made it 1.6 km. After that I switched to the bike and finished the rest of my cardio while watching the news. Regardless of my lack of 6am gym enthusiasm, at least I looked good. 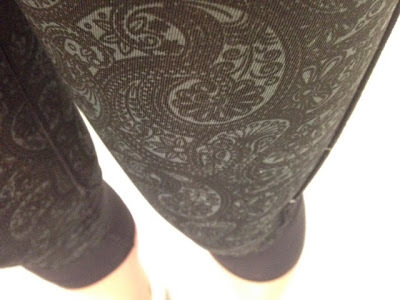 These paisley beauty's always make me feel fit! (both "fitness fit" and "British fit"). It's the little things... The guy working the front counter absolutely made my day today. He saved me a month worth of gym membership due to a small typo that was made at registration. Talk about a nice guy!